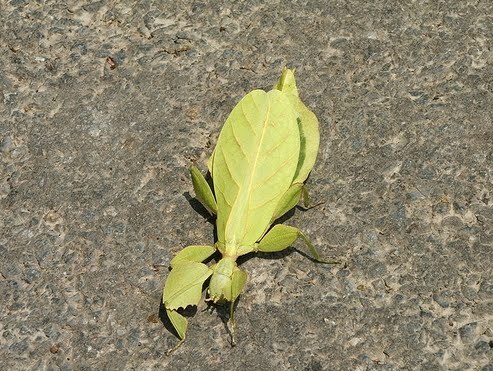 Animals Leaf mimics use a sharp variety of camouflage to evade discovery as of predators or prey. 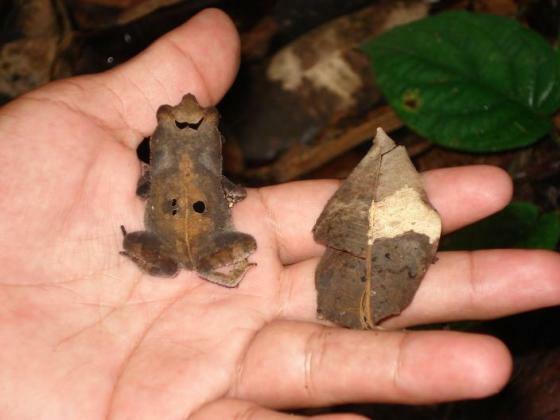 Animals are modified exoskeletons, skin, scales, and behavior to take camouflage to another level. 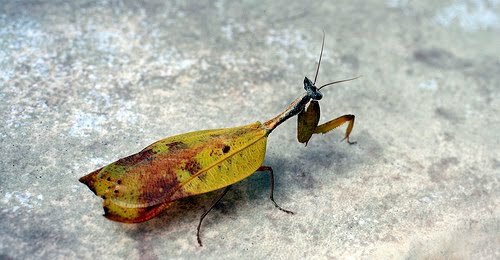 Animals make use of extraordinary color patterns.Nature is fascinating, and some of Nature’s best work—or evolution rather—is illustrated by a group of animals that have evolved adapted to mimic leaves. 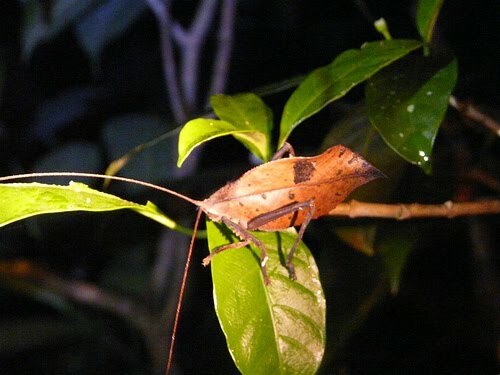 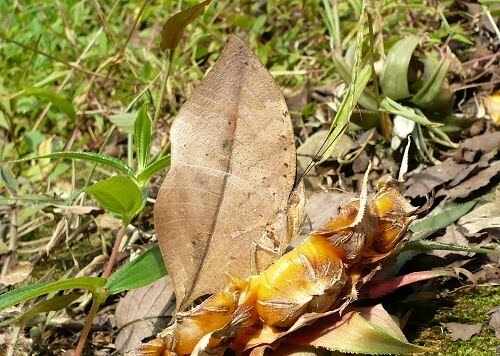 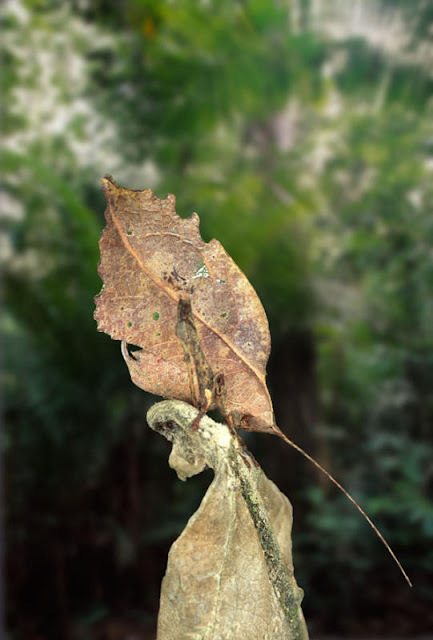 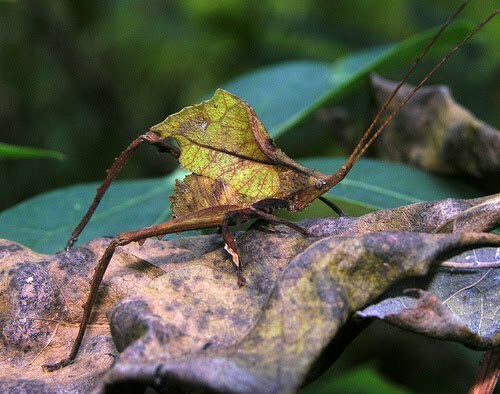 The “dying” leaf-mimic katydid below is a fascinating creature, and evolution natural selection has endowed it with the ability to mimic a dying leaf. 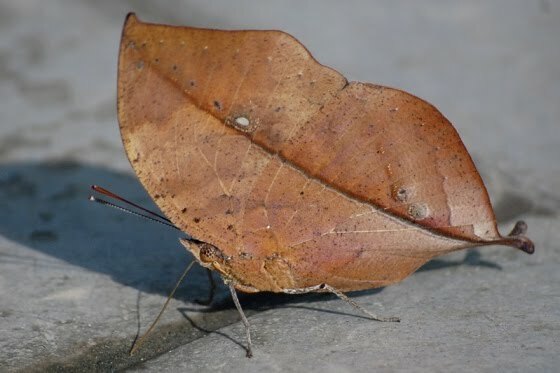 Dead leaf butterflies are extraordinary creatures to observe up close. 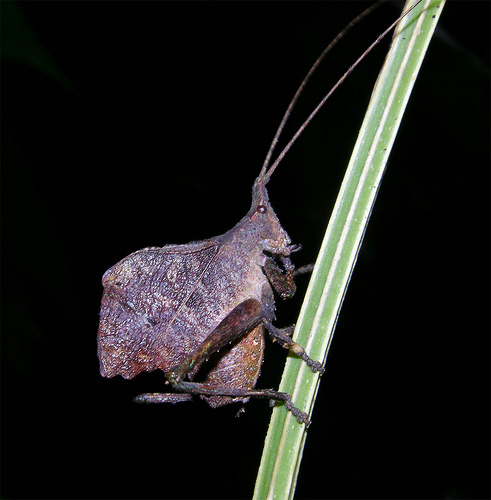 The specimen below illustrates the intricate details chiseled out by adaptation through natural selection, which is a driving force of evolution. 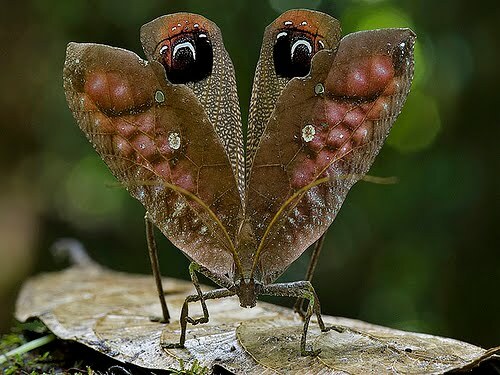 The remarkable details help the butterfly evade predation by mimicking a dead leaf. 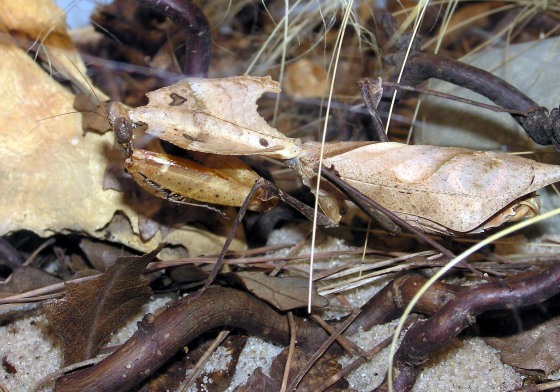 The images and videos below show various species of leaf- and stick-mimicking praying mantises, including a dead leaf mantis (Deroplatys desiccata) and a violin mantis subadult (Gongylus gongylodes). 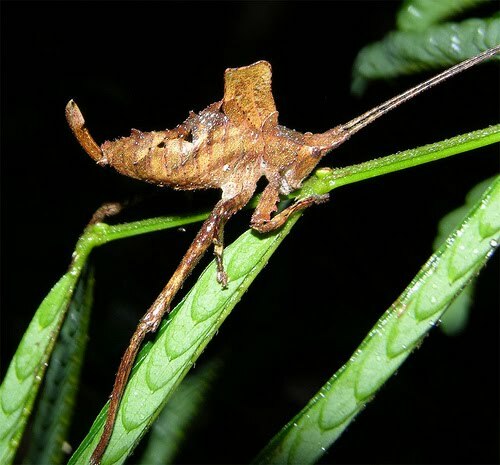 The detail and similarity to vegetation in some species, like the specimen in the first image, is extraordinary. 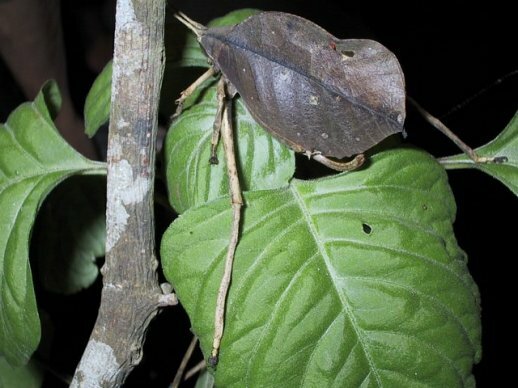 Another leaf mimic katydid positions itself below. 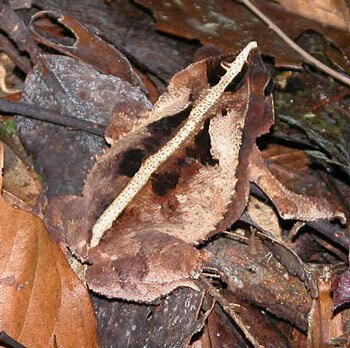 This specimen mimics a decomposing leaf instead of a dying leaf. 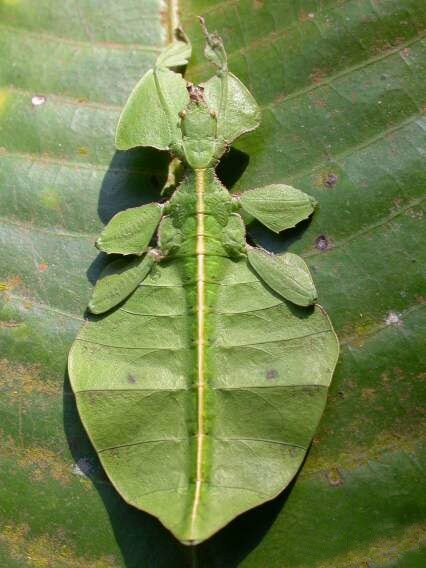 Leaf insects or walkingleaves from the family Phylliidae are some of the best examples of leaf mimics. 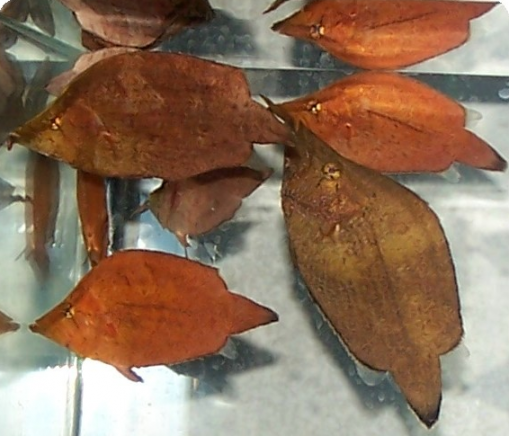 Here are more examples of leaf-mimicking katydids. 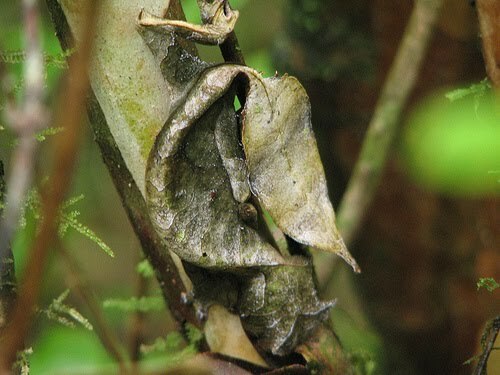 The species directly below from Costa Rica is mimicking a dead or brown leaf. 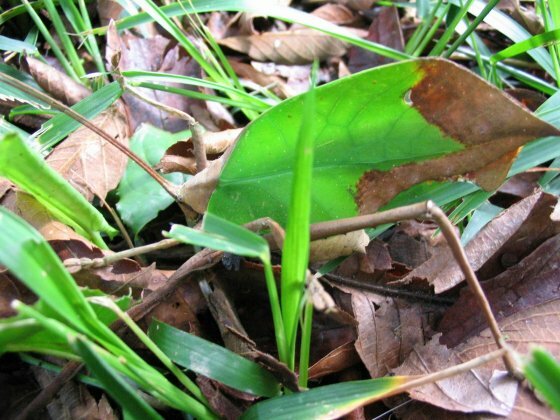 Note the mottling or splotching of darker browns, which certainly allows this species to camouflage itself amongst decaying leaves very well. 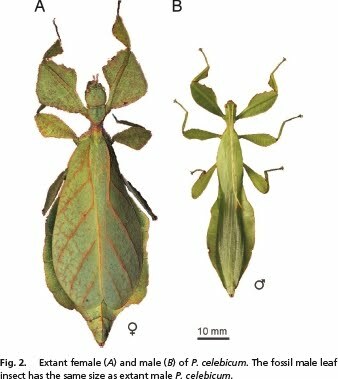 This series of images shows several small-leaf katydids (Pseudophyllinae) from Peru and the Peruvian Amazon. 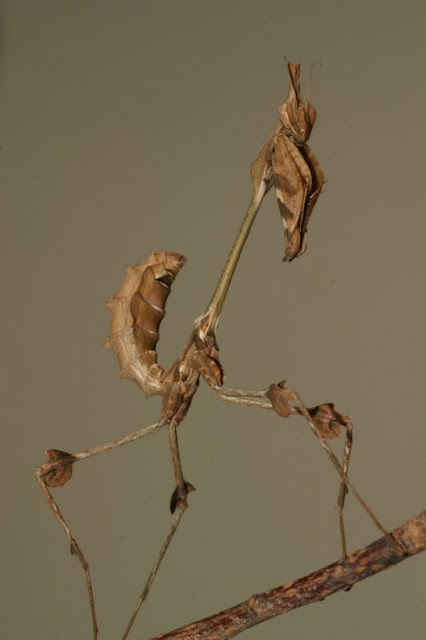 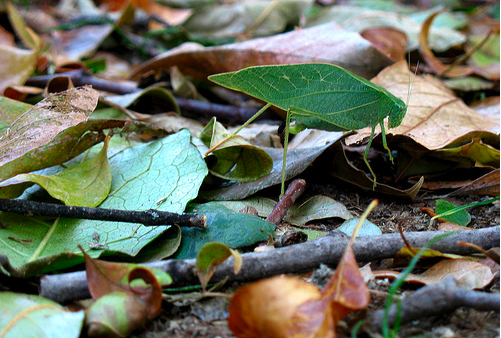 The last image in the series shows a dead-leaf katydid nymph or an immature form of a small-leaf katydid. 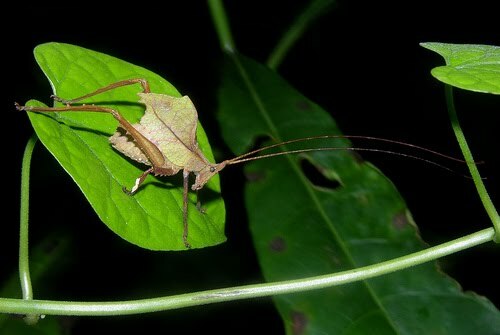 You may or may not see the katydid in the image below right away, since it kind of jumped out at me when I first saw the image. 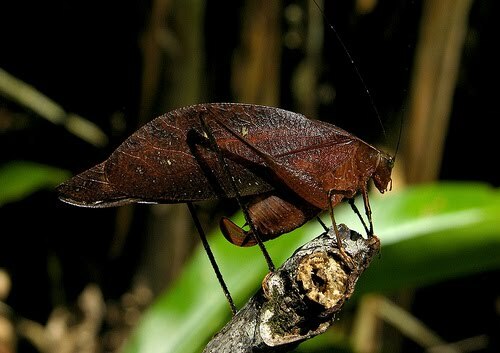 This specimen looks more like the katydids that use to get into my parent’s home in the United States if the door was left open too long at night during the summer months. 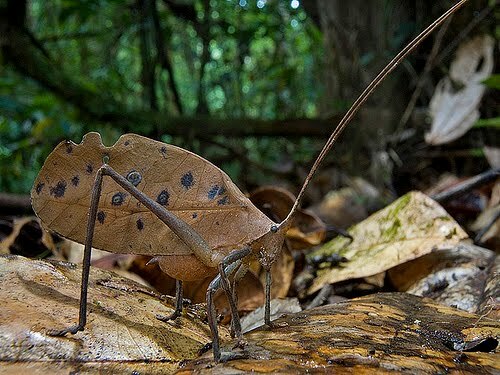 This peacock katydid’s (Pterochroza ocellata) exceptional resemblance to a dead leaf is remarkable, but if its camouflage fails and a predator realizes it’s a potential meal, the peacock katydid has a behavioral trick—it can quickly flash a pair of false eyes by opening its wings to startle a predator. 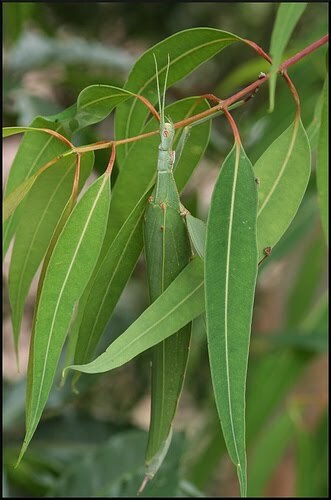 The children’s stick insect (Tropidoderus childrenii) is found in Australia, and it mimics Eucalyptus leaves. 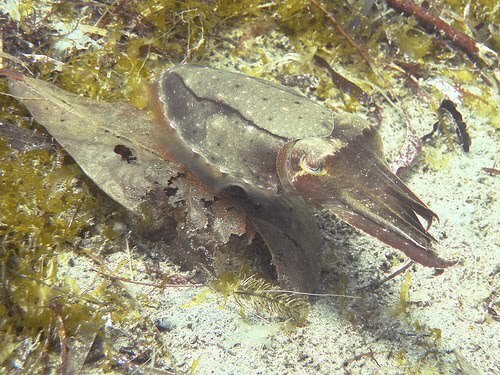 This cuttlefish is trying its best to mimic a leaf. 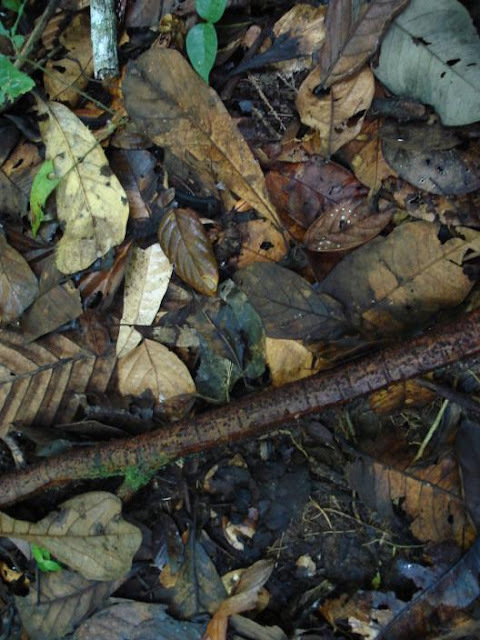 Can you find the leaf mimic frog? 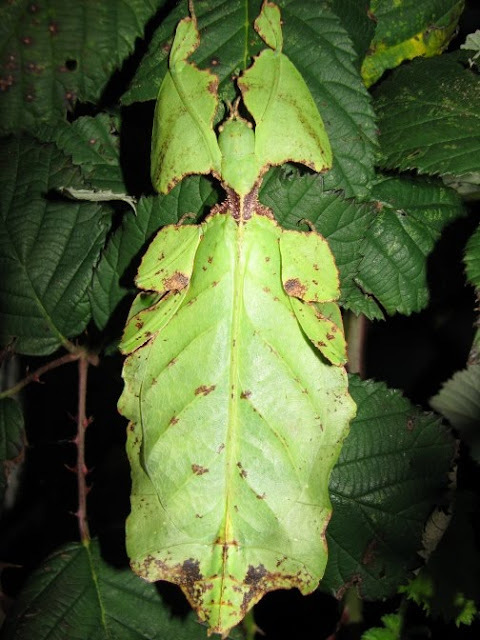 Leaf mimicry isn’t exclusive to insects, since some vertebrates make use of this extreme form of camouflage. 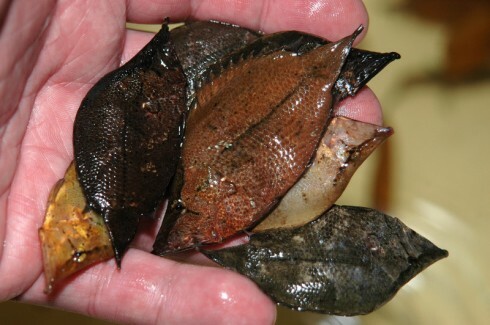 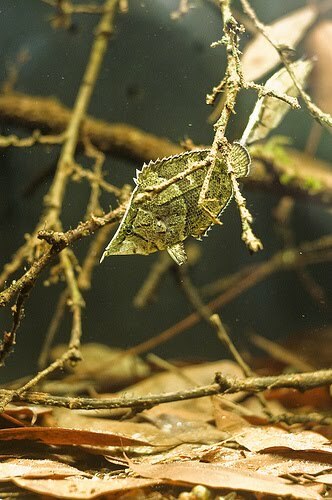 The South American or Amazon leaf fish (Monocirrhus polyacanthus) uses camouflage, mimicry, and stealth to hunt its prey. 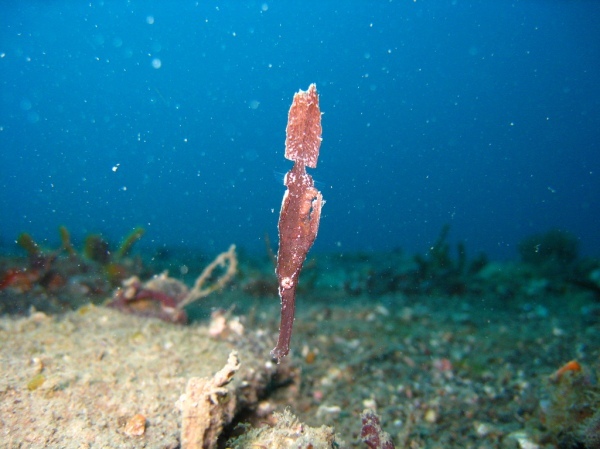 It will often sit in the water column at varying angles or sideways mimicking a dead leaf (note the individuals in the background). 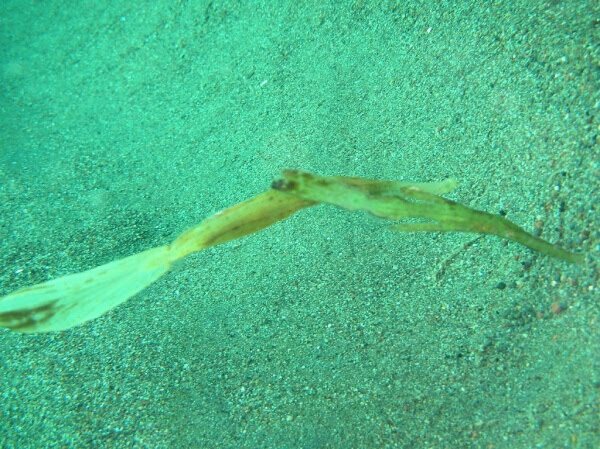 Its prey is quickly gulped into its hard to see large mouth. 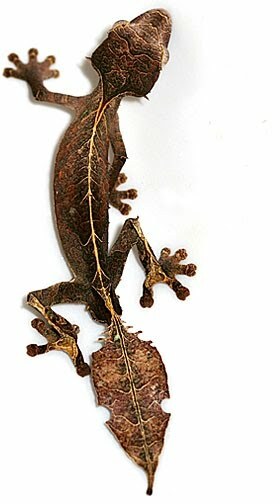 The Uroplatus, a genus of gecko endemic to Madagascar, are sometimes referred to as leaf-tailed geckos. 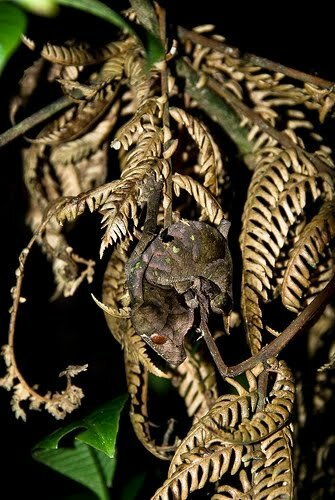 The first image shows an individual hibernating during cooler Malagasy weather, and the leaf-tailed gecko uses its tail to mimic a leaf or camouflage itself as it hibernates. 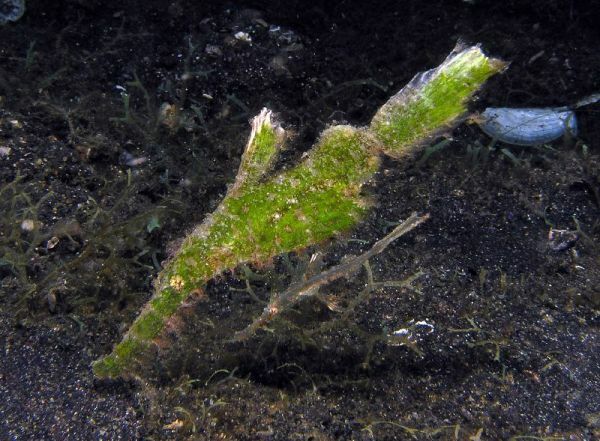 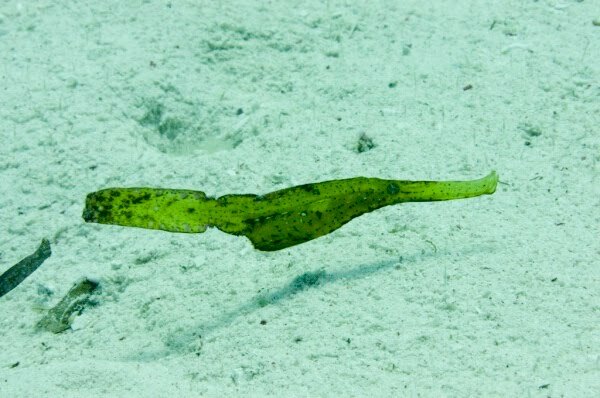 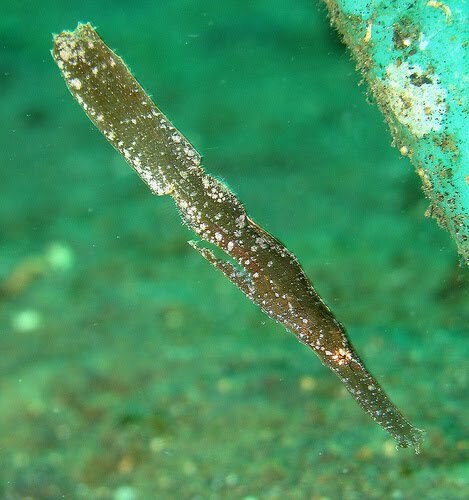 This robust ghost pipefish (Solenostomus cyanopterus) mimics a blade of sea grass, and rests at an angle similar to the South American leaf fishes above. 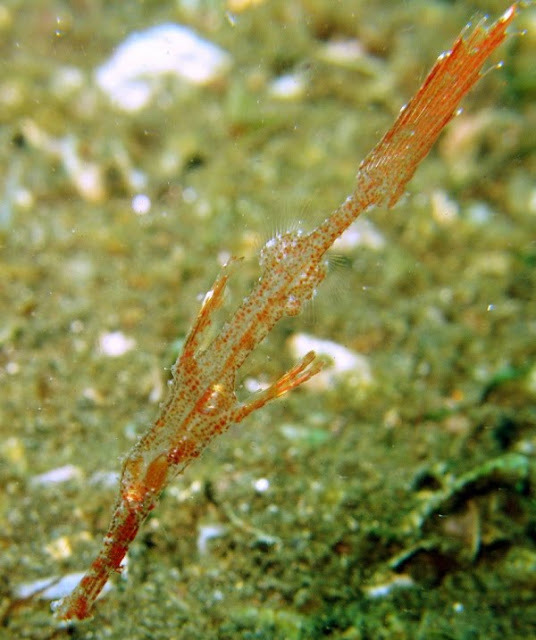 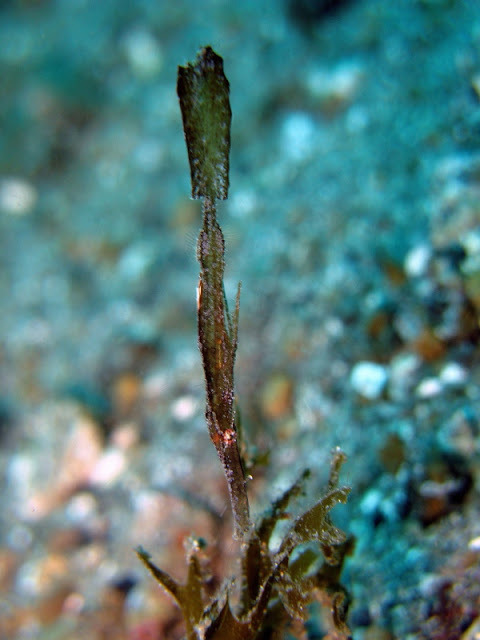 Ghost pipefishes are relatives of pipefishes and seahorses and display some of the best camouflage found in nature. 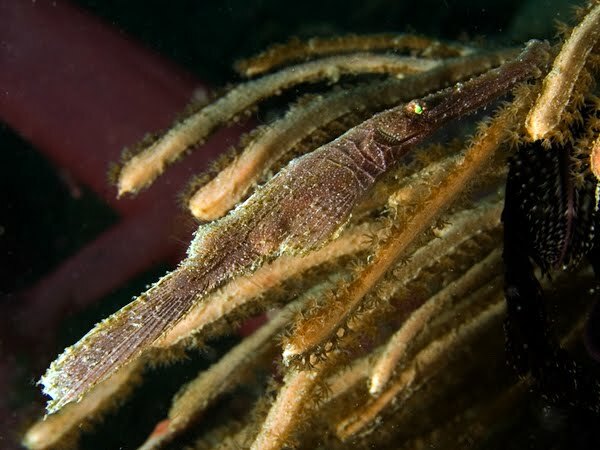 They are very ornate and showy like the weedy and leafy sea dragons.